The text, which should be used as the group title or description, can be entered here. 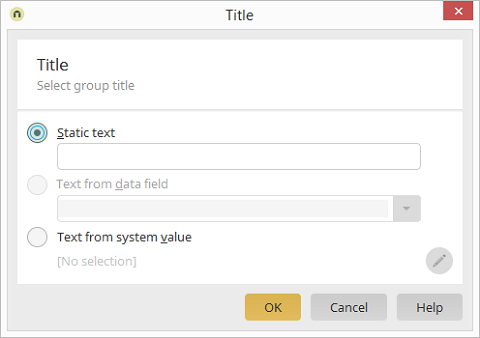 The title can be generated dynamically from the values of the data field selected here. The title or description can also be provided by system values.